The “mound builders” of early North America lived throughout what are now the Ohio Valley and Mississippi regions. The earliest group was probably the Adena people, who flourished from 1000 BCE to 200 BCE. They built mounds throughout North America, from Wisconsin to Mississippi. 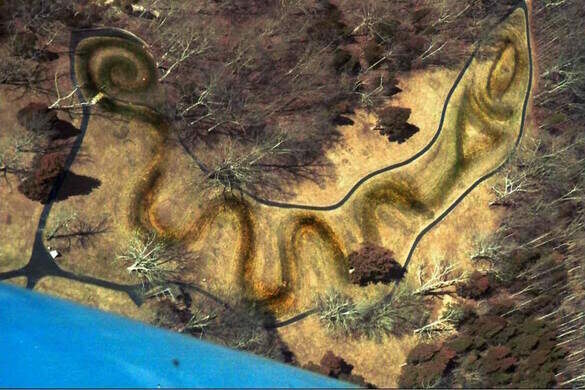 The Great Serpent Mound—a 1,330-foot-long, three-foot-high prehistoric effigy mound in southern Ohio—is one of the few surviving relics from the mound builders. The earliest records say it depicts a serpent swallowing an egg, though another interesting theory suggests that the snake is swallowing the moon. In 1909, local German Baptist minister Landon West proposed another possibility: The serpent, he said, is writhing in its death throes as punishment for tempting Adam and Eve, in what West believed was the original Garden of Eden. 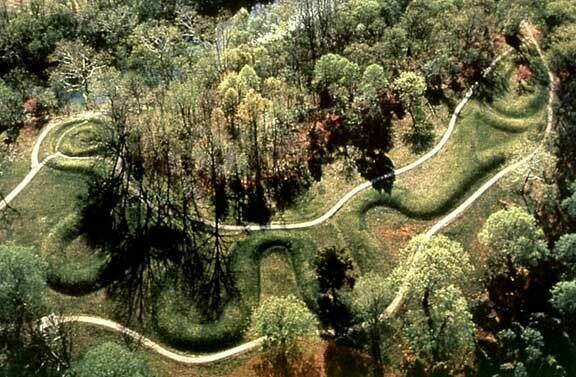 It is unclear who built the Great Serpent Mound. Though the Adena people built structures like it, as well as burial grounds near the mound, charcoal from the mound has been dated to later in history, to around 1000 CE. So the mound may have been built by the Fort Ancient peoples, who lived in the Ohio Valley from 1000 CE to 1550 CE. 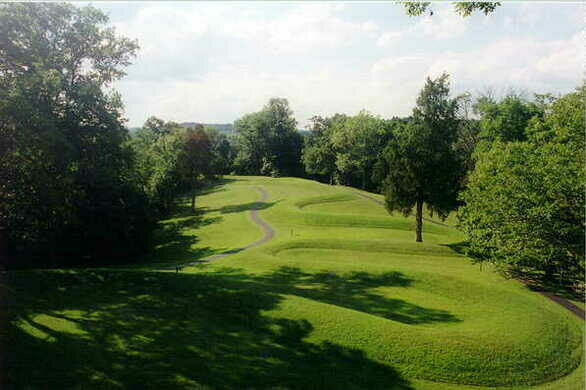 The effigy is located within the Serpent Mound State Memorial and has been designated a National Historic Landmark. The state of Ohio maintains a museum near the mound.